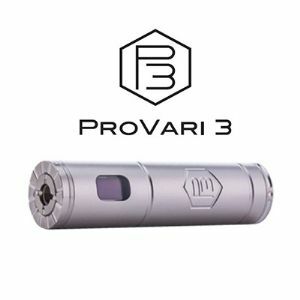 Get $30 off a ProVari P3! The ProVari P3 – one of the sturdiest, most reliable, high quality mods out there. A workhorse that will stay with you for years. Yes, it’s only 20W, but it is perfect when you’re on the go with your lower wattage tank! Right now you can get $30 off, by heading to the E-Liquid Recipe Forum! The offer is valid until Feb. 12th 2015, so hurry on over! So I thought I’d make a small review of the Cloupor Mini. The build quality is great. It’s a little bit bigger than the iStick. I got mine in black, so it’s a nice thick coat of paint over the aluminium body. The battery cover is held in place by two fairly strong magnets, and I haven’t experienced any rattling or looseness from that. I really like the build quality accutane australia. The screen, which looks great, is pretty flush with the device. The buttons are nice and don’t rattle. I recently bought an Oral-B Triumph 5500 electrical toothbrush – Replacement brush heads are really expensive. For a TENTH of the price you can get exact copies that doesn’t say Oral-B on them from my favorite Chinese webshop FastTech :) Click here to go to the oral care category! If you have a NAS like Synology or QNAP, you might have seen this error. Letting Time Machine create a new backup for you, means you lose all old backups. Fortunately it’s usually repairable. I have done this many times on my QNAP, and a few times on the Synology at work. Oddly OSX doesn’t do it automatically, which is silly, because it should be able to. The second treatment took place the day after (on my oldest daughters 10 year birthday) and lasted 30 seconds in all, 25 seconds for the flap, and 5 seconds of corrections. I went home and slept for three hours again, and woke up. And everything was pretty clear. It’s been a week now, the dryness of my eyes have abated VERY much – I hardly use the eye drops. It’s really weird to be able to see better without glasses, than I could with glasses a week ago! All in all, I can recommend the treatment. In Denmark performed by GodtSyn.dk or Memira (Memira has clinics in other countries as well). I am far-sighted. This morning I went and got FS-LASIK surgery on my right eye. My right eye was the worst one, I had around +3 and astigmatism of around 3 buy generic accutane.2. The operation itself took 20 seconds (making the flap) and 14 seconds of corrections – 34 seconds in all. Impressive! It was a bit uncomfortable, but not as bad as I had thought. Right after, my vision was pretty blurry – This has mostly passed. I do have a pronounced haloing, especially around lights right now. I am hoping it will pass. It is only 10 hours since my surgery. It’s very strange to be walking around without glasses and to be able to see as clearly as with them. My left eye is around +2, and tomorrow I will have corrective surgery on that.